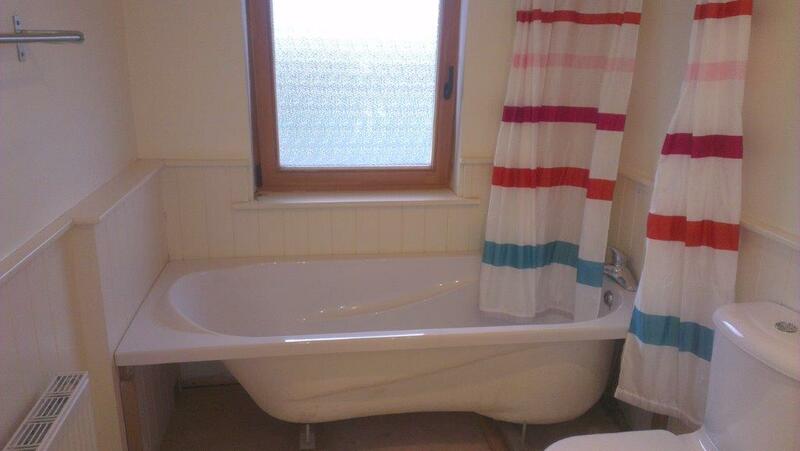 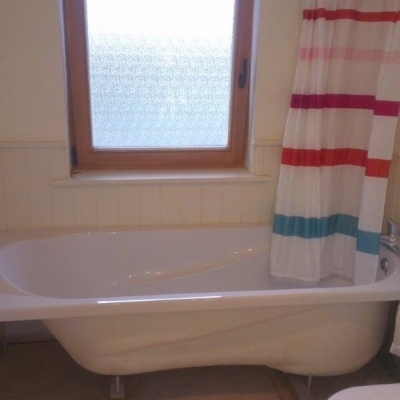 This home in Kill is really nice, a modern compact 3 bed terrace in a countryside setting and the bathroom suits it well, it wouldn’t be out of place in a Laura Ashley catalogue. 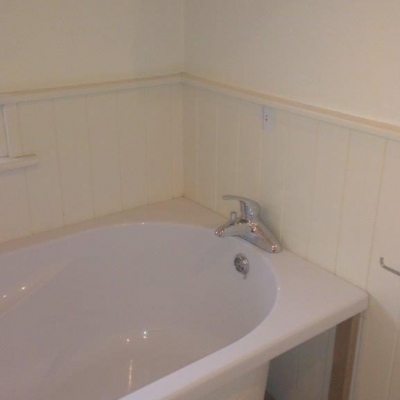 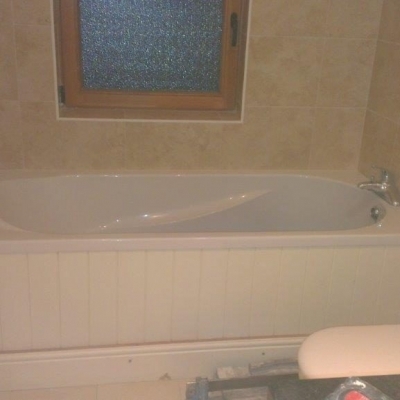 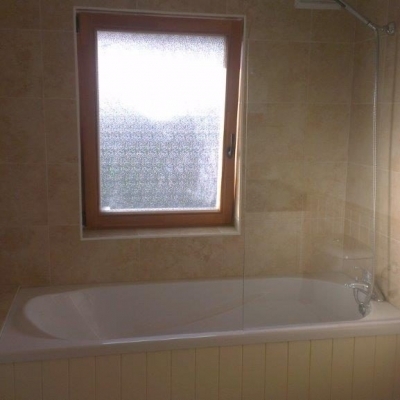 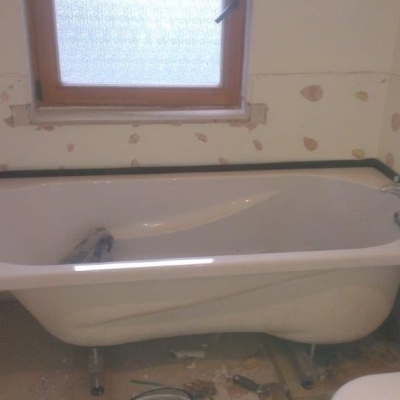 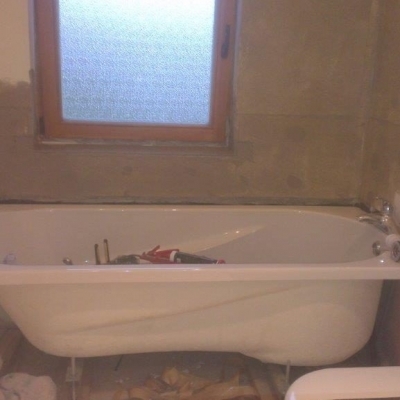 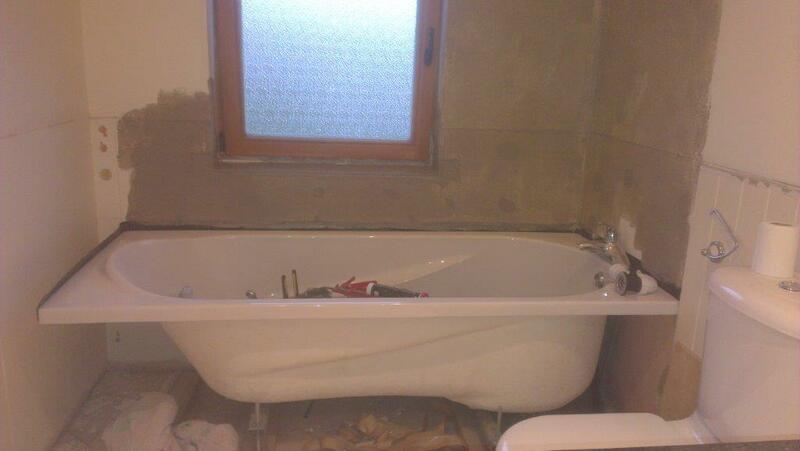 However we live in the real world where water and timber don’t mix well when they come into contact in bathrooms so as much as it looks good as you can see in the first few pictures it had to be changed if it was actually going to be used as a bathroom. 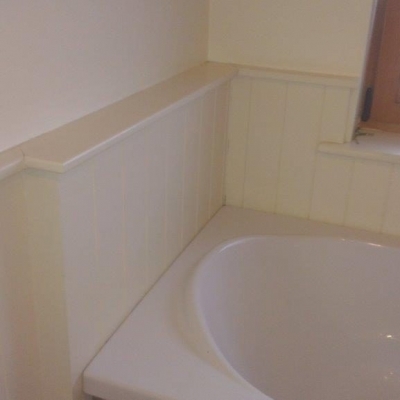 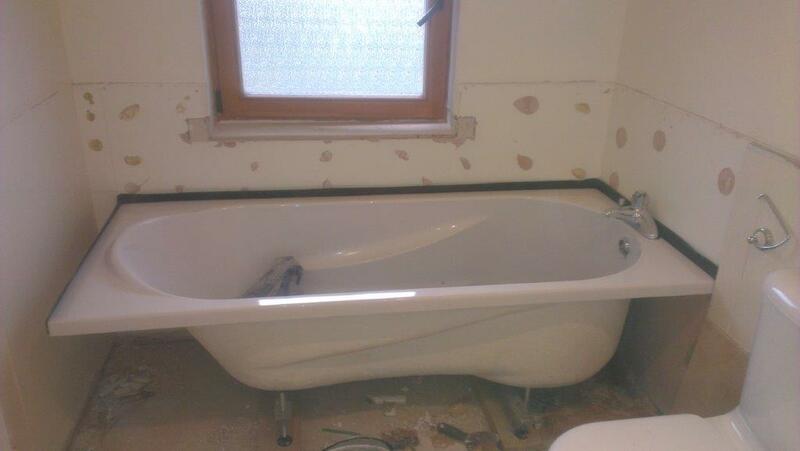 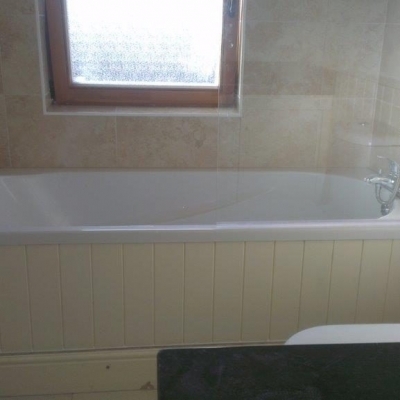 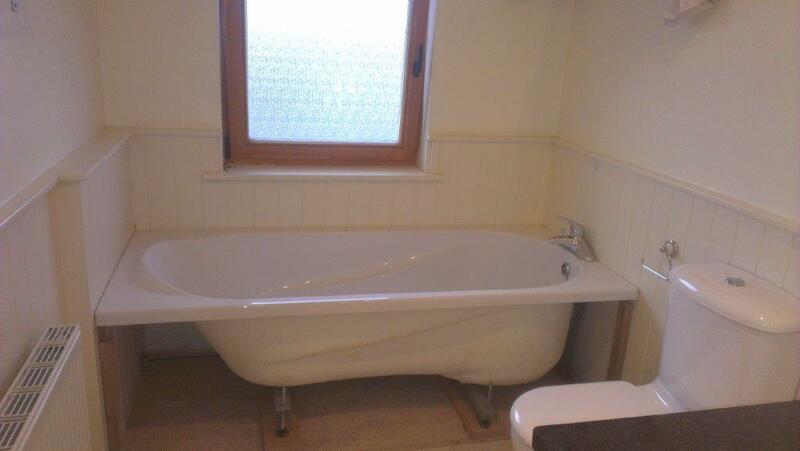 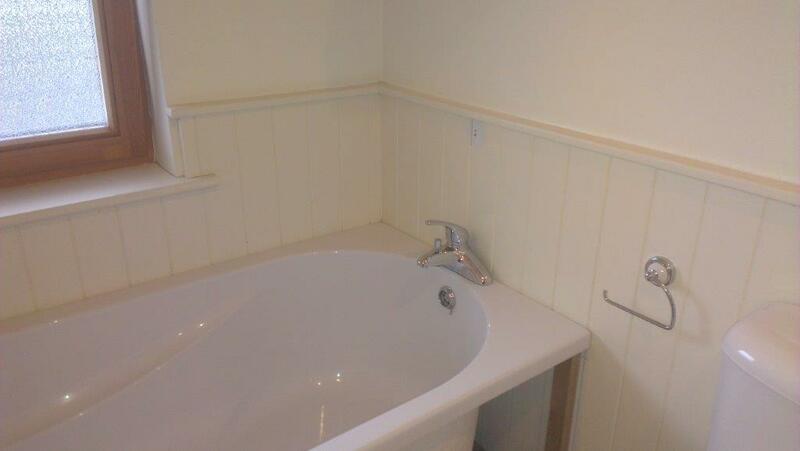 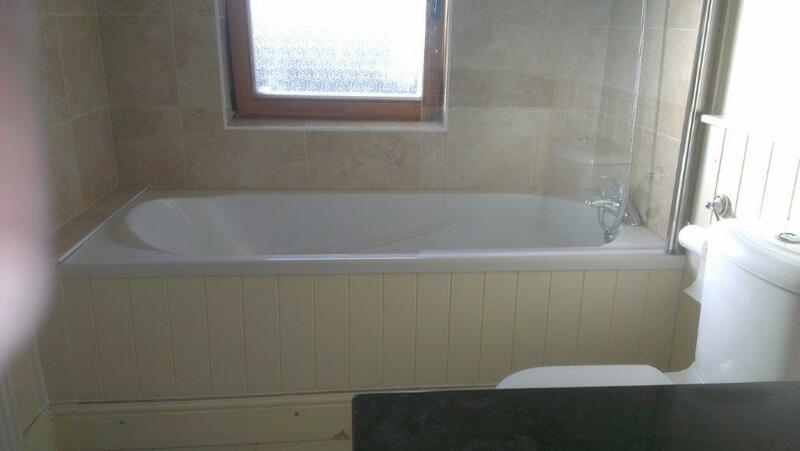 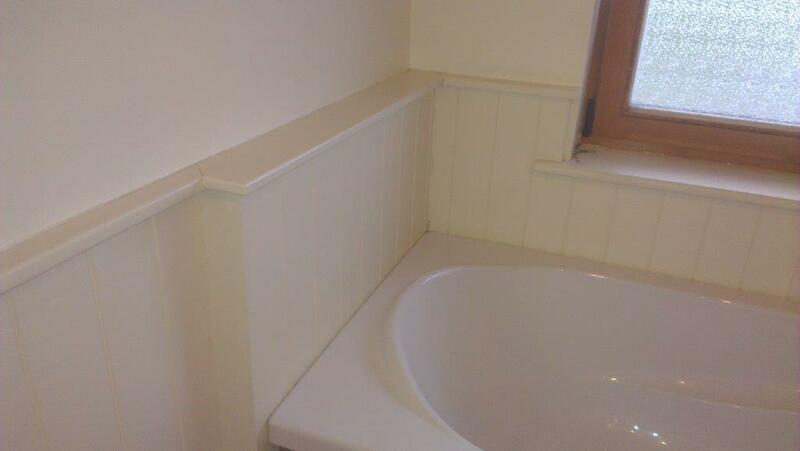 So the timber surrounding the bath had to be removed which proved to be quite difficult as it was made from MDF boards and not the traditional slats so it had to be cut in situ as i didn’t want to take the entire bathroom apart. 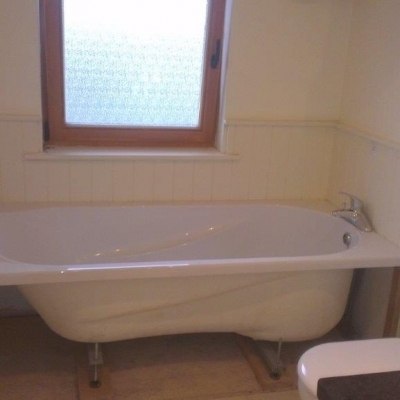 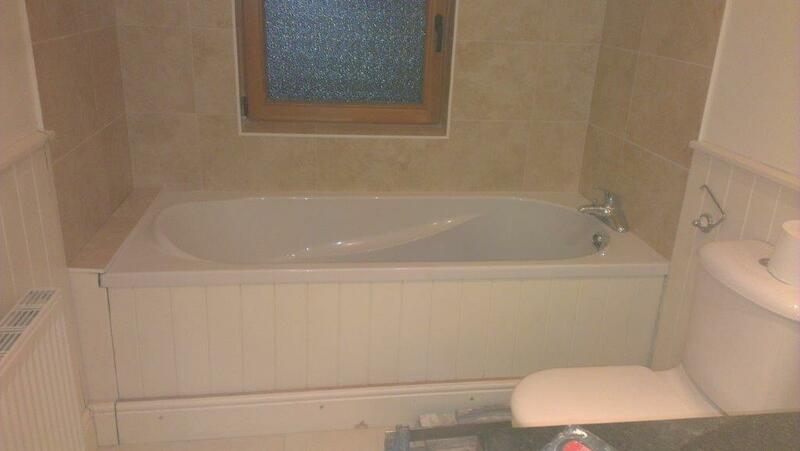 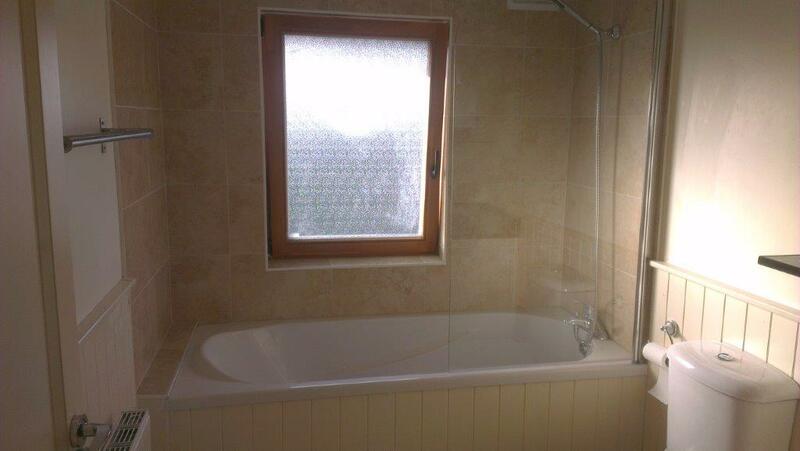 Once that was done I could fit the classy seal around the bath, seal it to the wall and then modify the plumbing to suit the new position of the bath.